Most people have heard that poor dental care is linked to heart disease, as well other health maladies. And while you may brush regularly, you may be still making some basic mistakes. Your toothbrush should be the last thing your teeth touch at night. Snacking before you sleep significantly raises your risk for cavities. Your morning method is equally important. Saliva production slows down as we sleep, allowing the bacteria in your mouth to multiply even faster. Brush twice a day for at least 2 minutes, making sure you spend 30 seconds on each quadrant. A few straight strokes won’t get the job done. Position the handle of your brush so the bristles point at a 30- to 45-degree angle when they touch your gum tissue. Rotate your wrist in a circular motion to effectively remove the plaque. 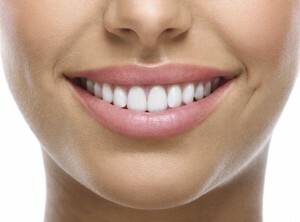 When you move behind your front teeth, you should turn your tool vertically to better reach the entire tooth. And make sure to give special attention to the back of your mouth, since that area normally hides the largest amount of plaque. And this may come as a shock to you, but spitting out your toothpaste doesn’t totally remove all the harmful stuff that you loosened while brushing. Adding some type of an oral rinse to your routine will be greatly beneficial to your oral health. Another problem you may have is your toothbrush. Pick a soft bristle toothbrush that can slip under your gum tissue and dislodge any plaque stuck there. If plaque isn’t removed, you increase your risk of developing gum disease. 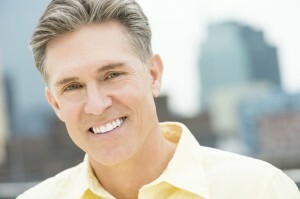 Brushing with a medium or hard model can cause your gums to recede and expose the surface of your tooth’s roots. Since the root surface isn’t as hard as the exposed enamel-covered part of your teeth, scrubbing this area can wear it away more easily and cause little cavities. Pick a soft bristle and change your toothbrush every couple of months. The American Dental Association (ADA) recommends buying a new brush every 3 or 4 months and this is why. The average brush contains more than 10 million bacteria, according to one study. Worn bristles won’t effectively remove plaque or bacteria. If you’ve been sick, swap out your brush immediately. Residual bacteria and viruses from an illness can cling to the brush and potentially re-infect you. I know this may not sound like something you should think of when brushing your teeth, but your tongue traps harmful bacteria too. Food or debris can easily get stuck in the crevices between the carpet-like strands, known as papillae, on the surface of your tongue. Run that toothbrush over your tongue as well! Keeping these few tips in mind will ensure that you will have great oral health when you go in for your dental checkups. For further information regarding your daily dental routines and/or make an appointment, contact Dr. Yankowskas at 978-649-7773 or www.tyngsborocosmeticdentist.com.